If you want an effective buff that lasts for a while and works like it is supposed to, then buy this product and support the small business community. 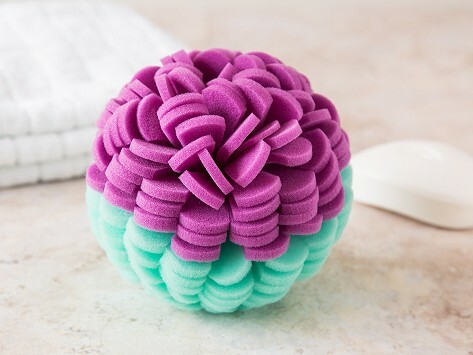 For years I have been looking for a body sponge that truly exfoliates. It is comfy in my hand. It holds lots of soap. Try the "clinical" option for a great scrub! I love my ViaBuff, it works great!! I like the multi skin function. The only thing I would request: add a string in which to hang it! Bought one for myself and I am going to order more for Christmas presents! 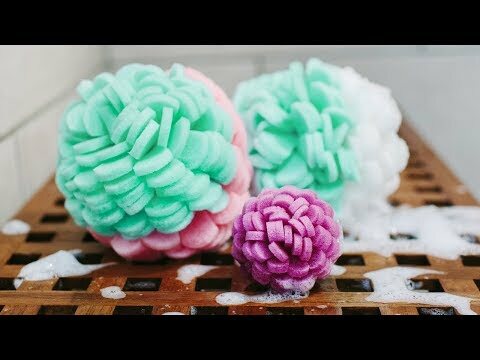 Finally a “puff” that holds up to daily use, can be washed without falling apart and lathers up really well. Love having the two sides so that you can exfoliate when you want and use a lighter puff when you don’t need to exfoliate. And I don’t need to have two different puffs! Will definitely order again when this one wears out. I actually LOVE this product, and here's why. I have tried so many varieties of personal scrubbers i.e., washcloth, loofahs, mitts, all of those - nothing seemed "just right". What's unique about this is that it fits perfectly in my hand (doesn't slip/slide/fall off), doesn't slosh water everywhere, and holds the soap in without waste. The scrubbing surfaces are so cool in that one is slightly abrasive and the other is nicely soft....all in all - perfect. I will buy several of these when I need a really unique (and pretty) gift. Also want to try different combinations of fabrics/scrubbing types as well.